It’s swatch day! 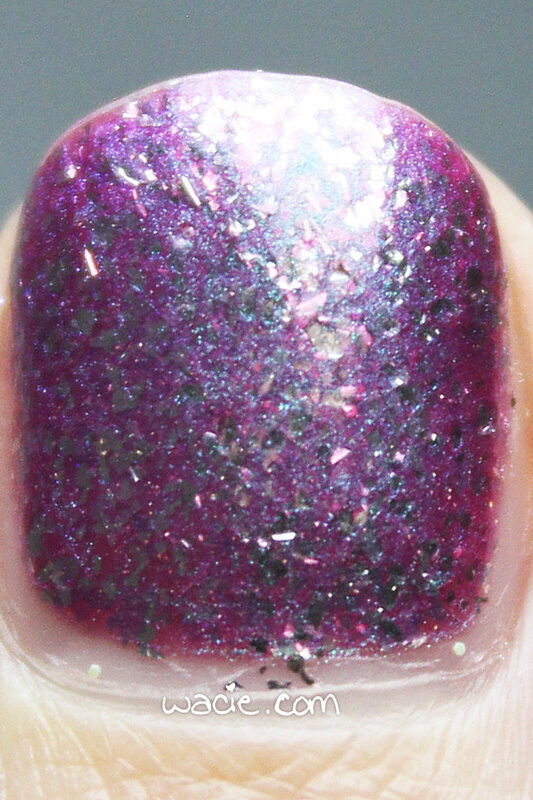 Here’s another polish from Baroness X‘s Cats in Space box. 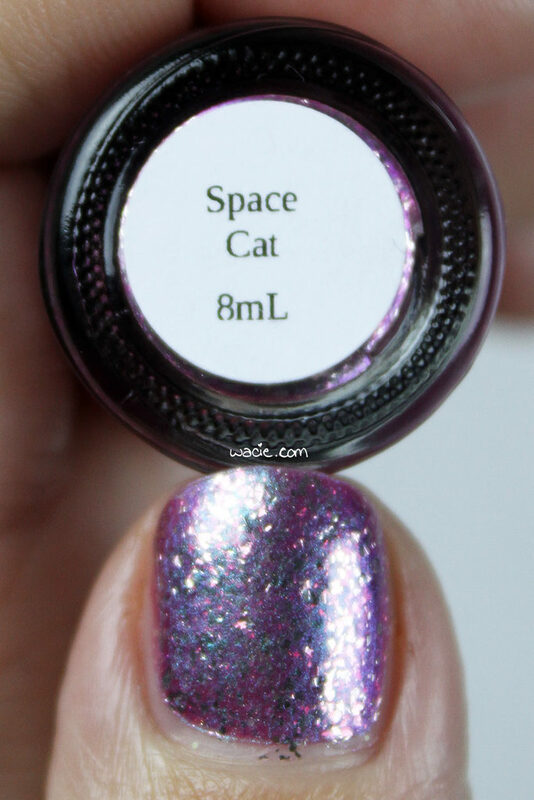 This is Space Cat, and it’s dreamy. I’m wearing three coats with one coat of Seche Vite. 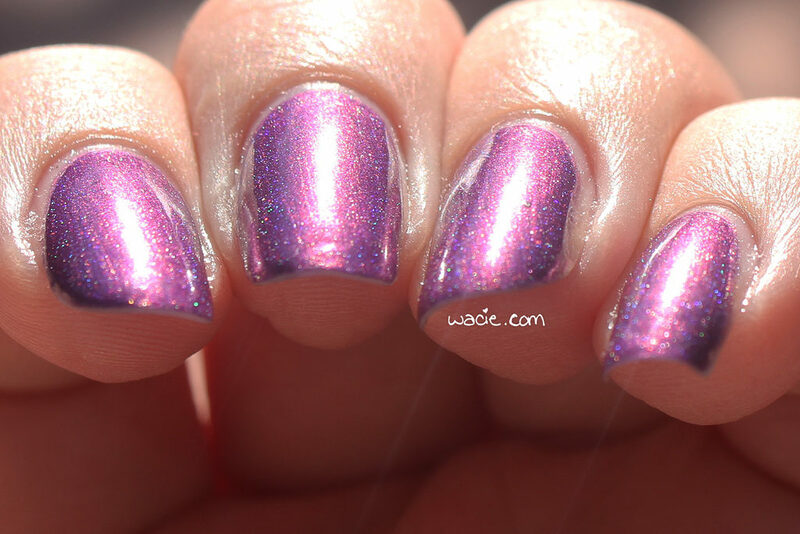 Space Cat is a magenta polish with sterling silver flakies and a shifting pink-to-green shimmer. Application was good; the first coat applies sheer and coverage builds with additional coats. The consistency is good; I had no issues with it. The polish dries with a glossy finish. 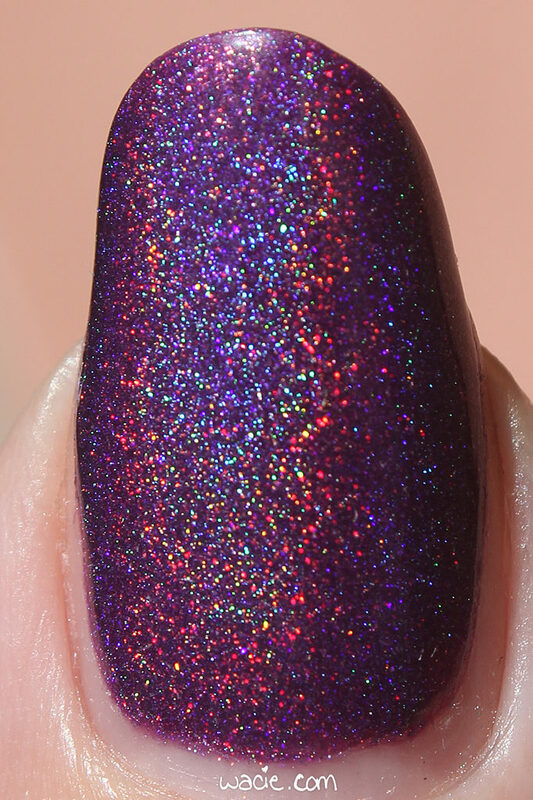 So, there’s a lot happening in this polish, and I love it. 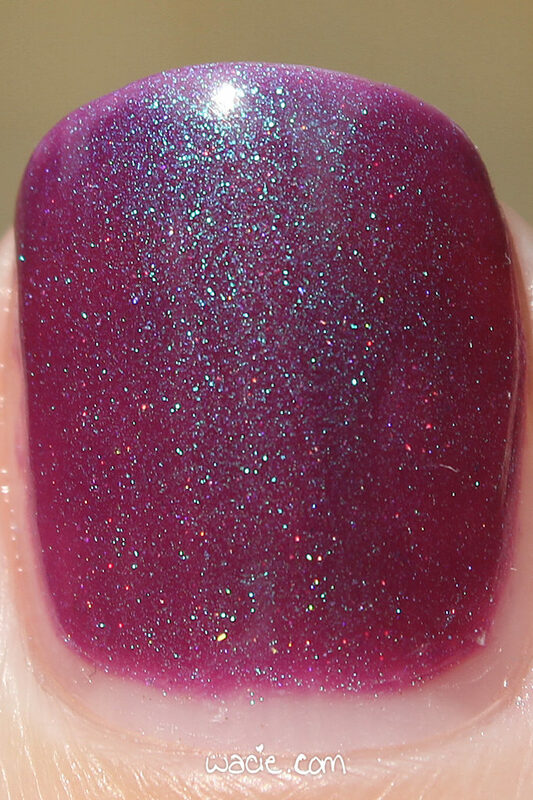 The base shade itself is a stunning berry. 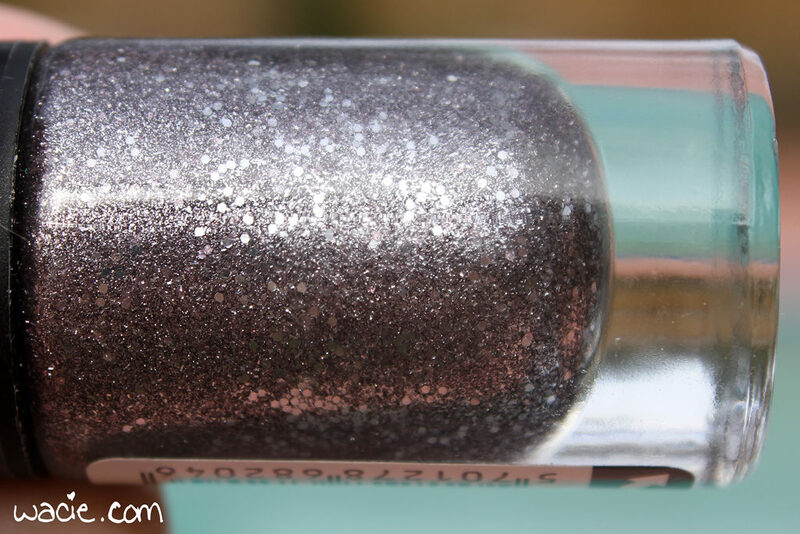 The silver flakies add a reflective quality to the polish. 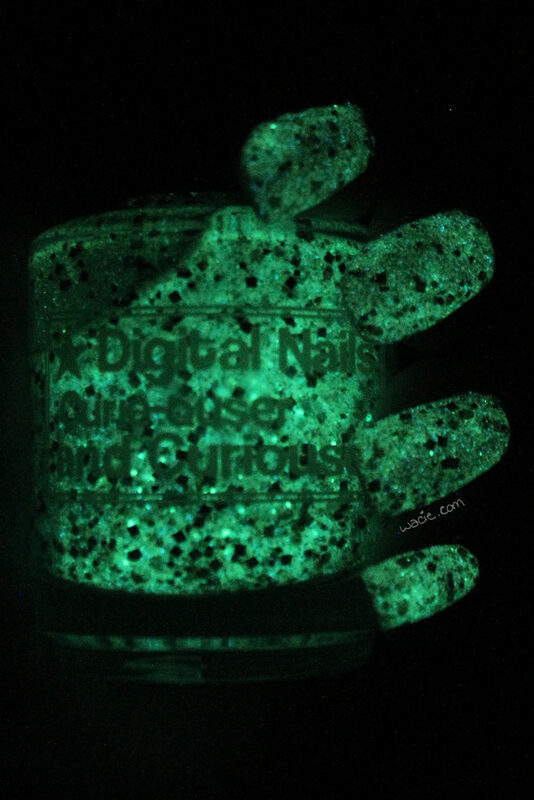 The shift, which is in green mode most of the time, just makes it glow. It’s so ethereal and I love it. 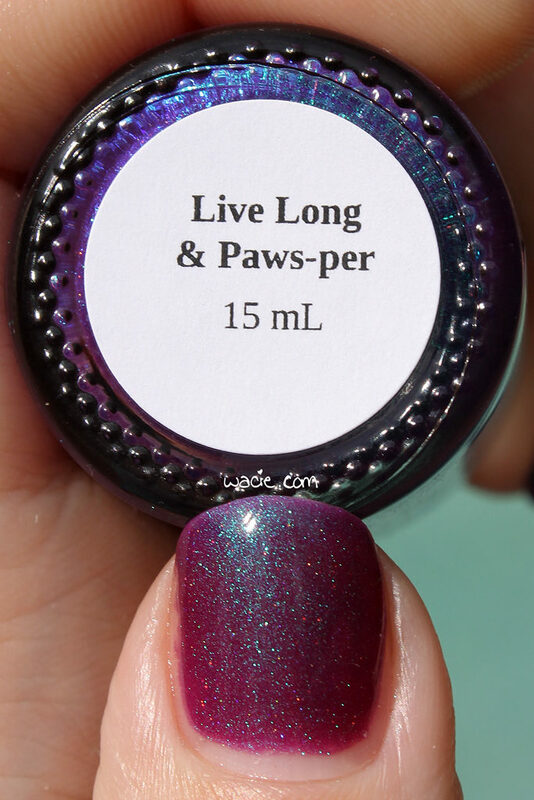 Space Cat and other Baroness X polishes and products are available on their website. Welcome back to Swatch Saturday! Today’s post is late and I do apologize, but it may be the norm for a while. Just bear with me! 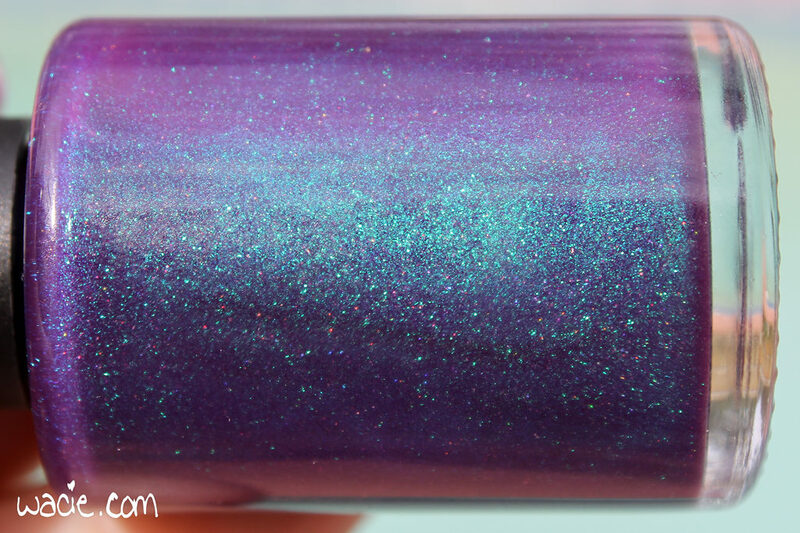 Today’s post is all about Realm of the Fae by Bluebird Lacquer; I’m wearing three coats with one coat of Seche Vite. 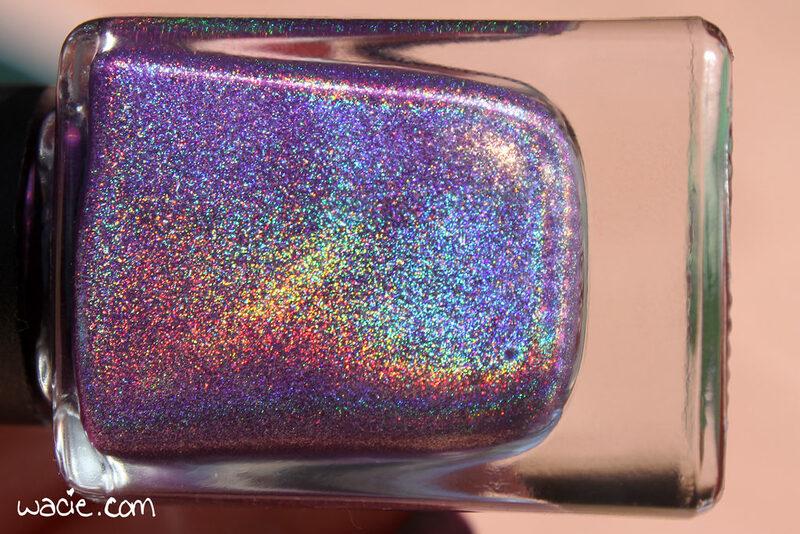 Realm of the Fae is a deep purple holo with a pink/orange shift. 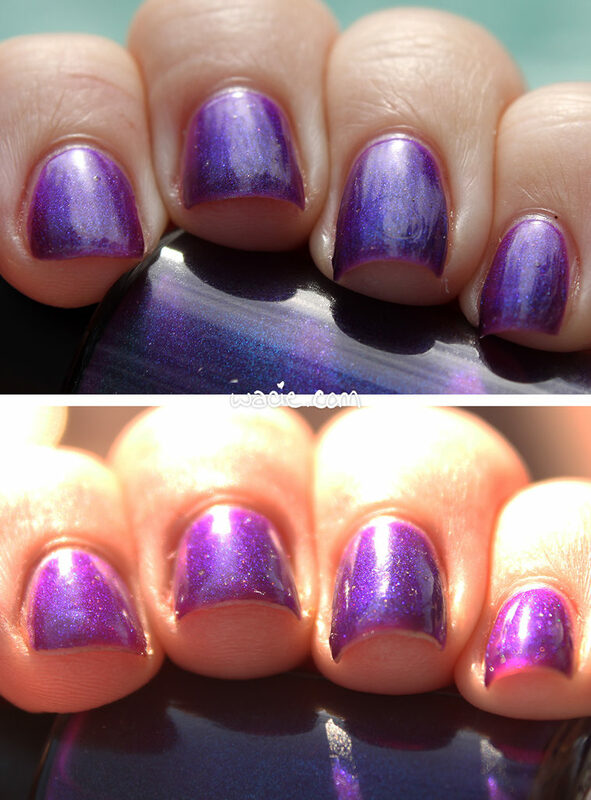 Application was great; I had perfect opacity at two coats, and the product consistency is very easy to use. 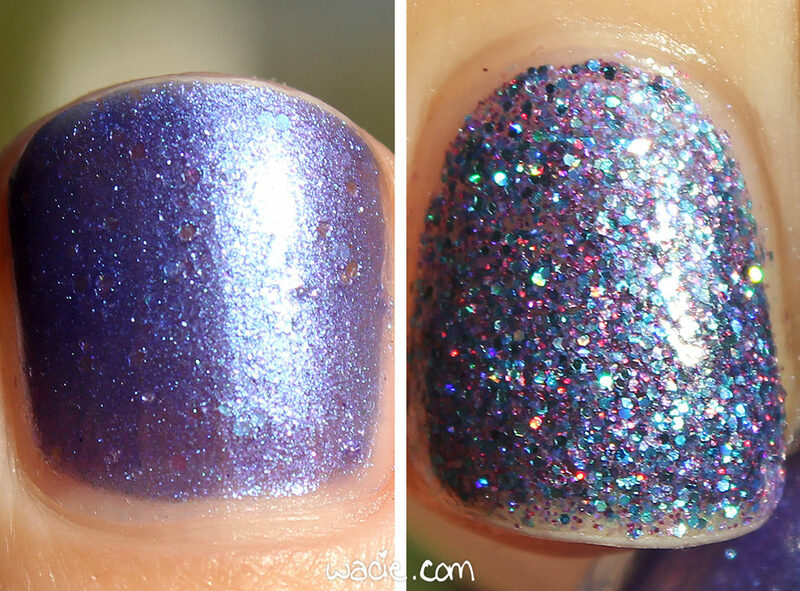 The holo effect is best in sunlight, but the shifty shimmer is best indoors. 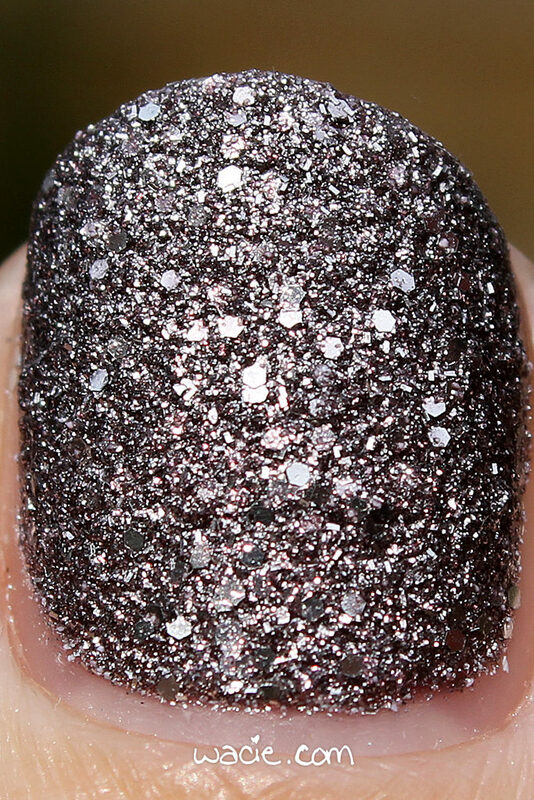 The polish dries quickly and with a smooth satin finish. I used top coat for shine. 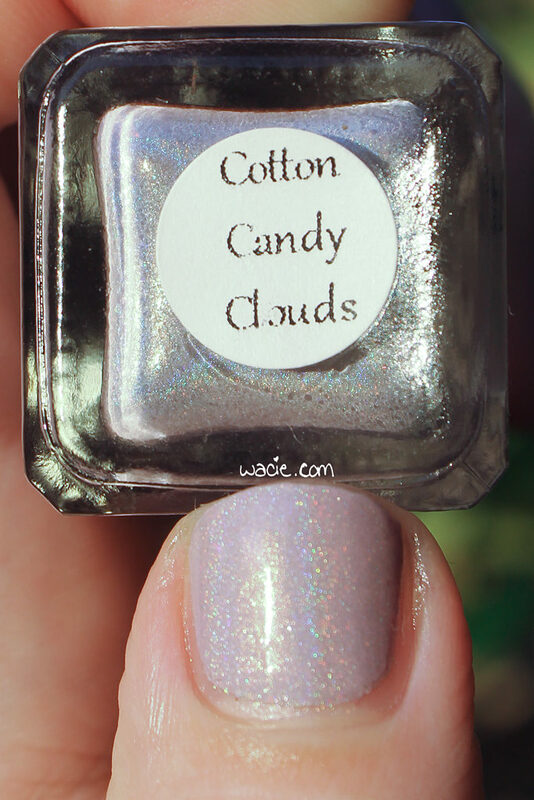 You guessed it, this polish was an Indie Shop Atlanta exclusive. There were so many! 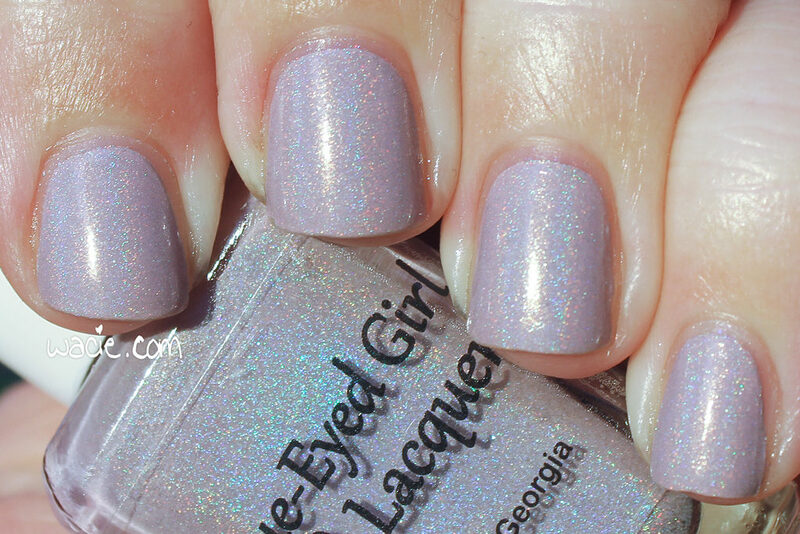 I like this polish a lot. 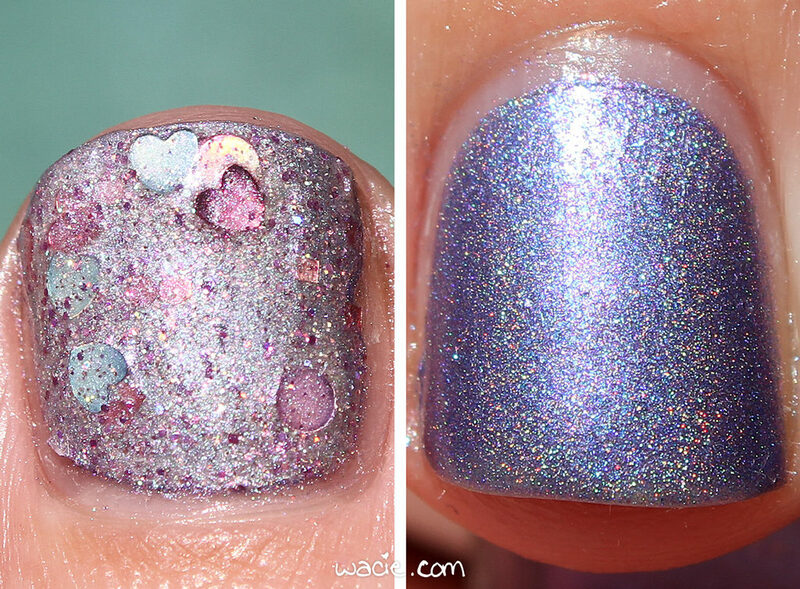 The holo isn’t too strong so it doesn’t overpower the shimmer, and there’s just enough shimmer in it to add dimension to the look. It’s gorgeous. Realm of the Fae was an event exclusive. 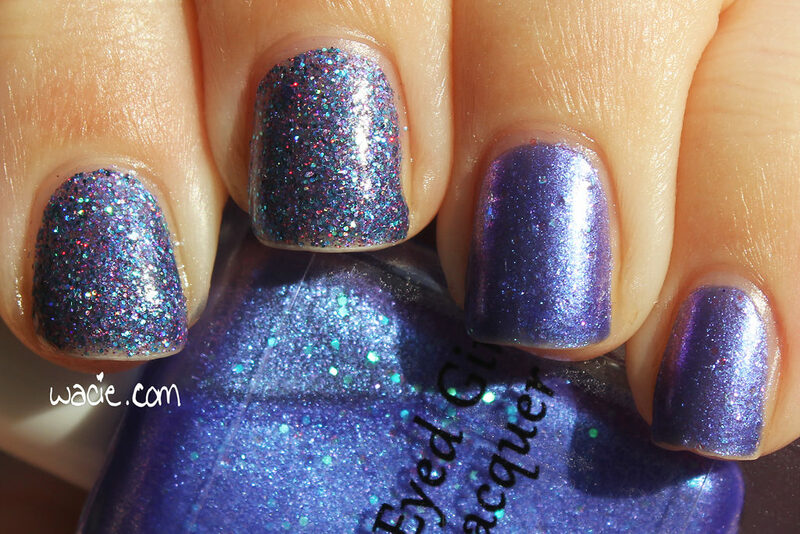 Other Bluebird Lacquers are available on their website. 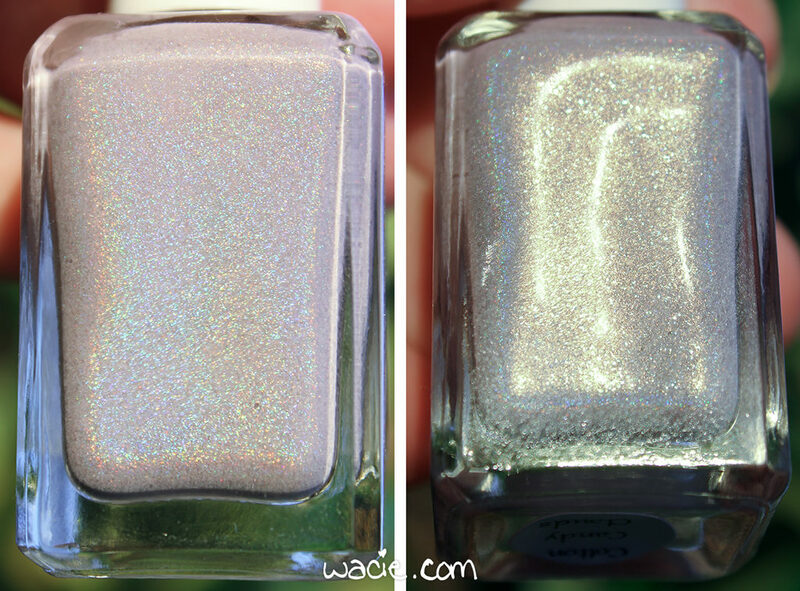 Welcome back to Swatch Saturday! 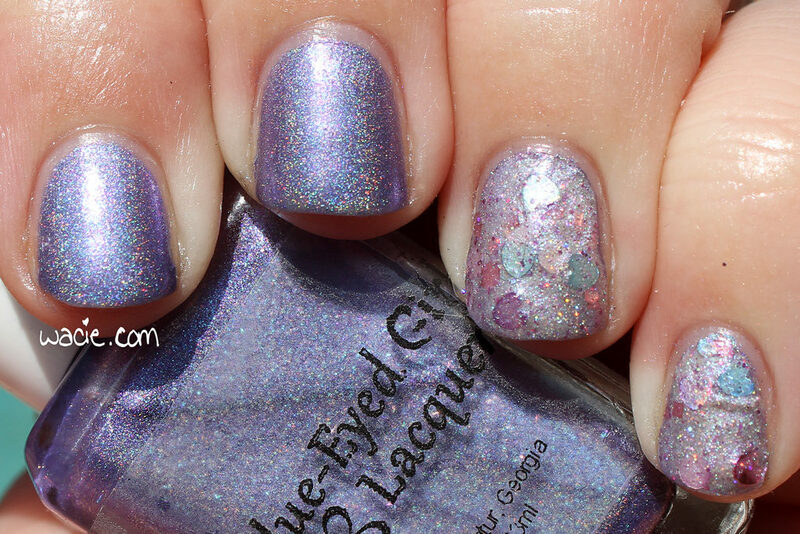 Today’s polish is another Indie Shop exclusive! It’s a stunner, too. 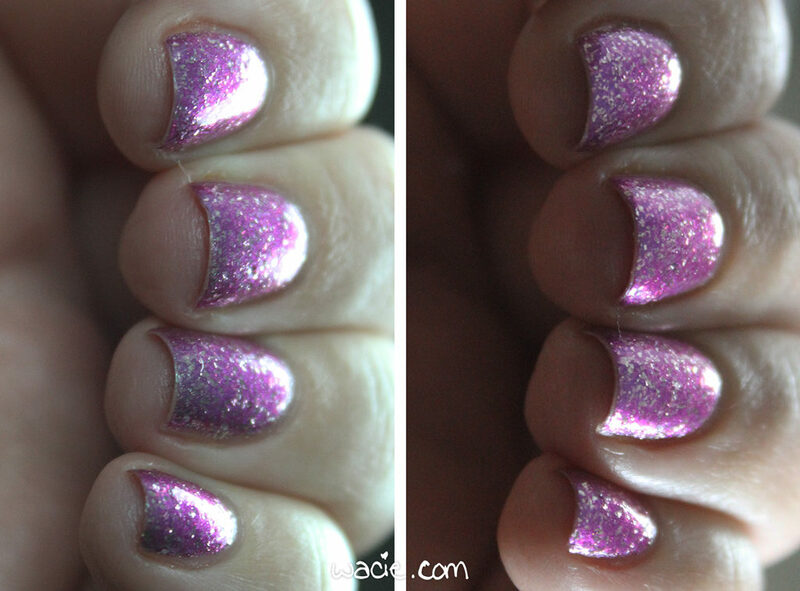 This is Fairy Castles from Bliss Polish; I’m wearing three coats with one coat of Seche Vite. 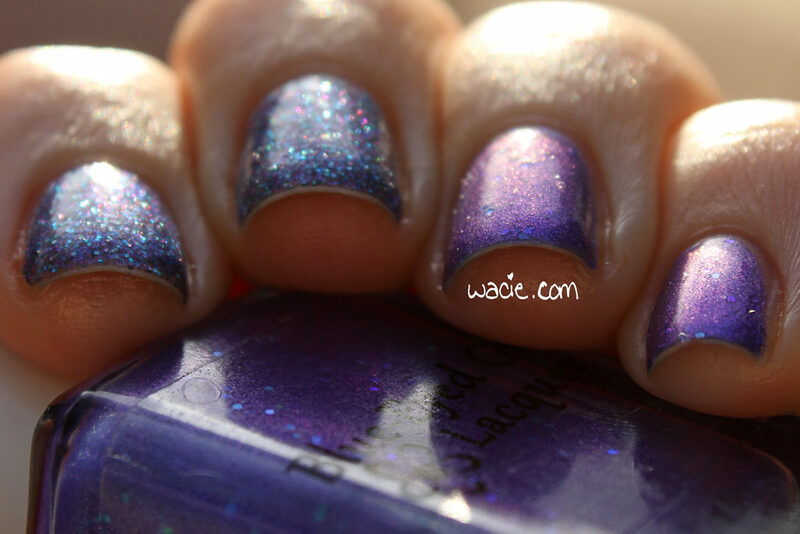 Fairy Castles is a dark purple holo. 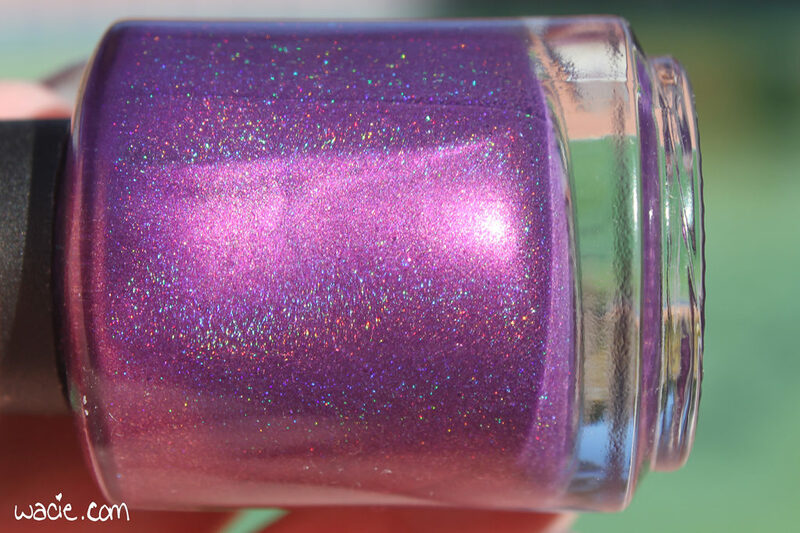 Application was very good; the polish is the perfect consistency, and my first coat was nearly opaque. I used three because I like the thickness. The polish dries to a smooth and glossy finish. It has been a long time since I put on a purple this rich and velvety. I love it! I actually kept this on for a full day and it was so much fun to wear. 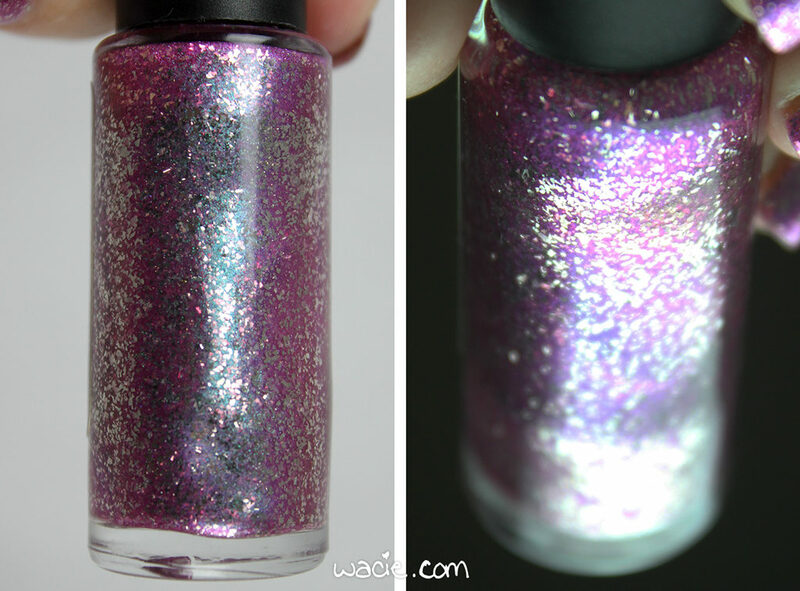 The holo is so strong, even in indoor lighting, and I kind of hated taking it off. So happy I snagged this one! 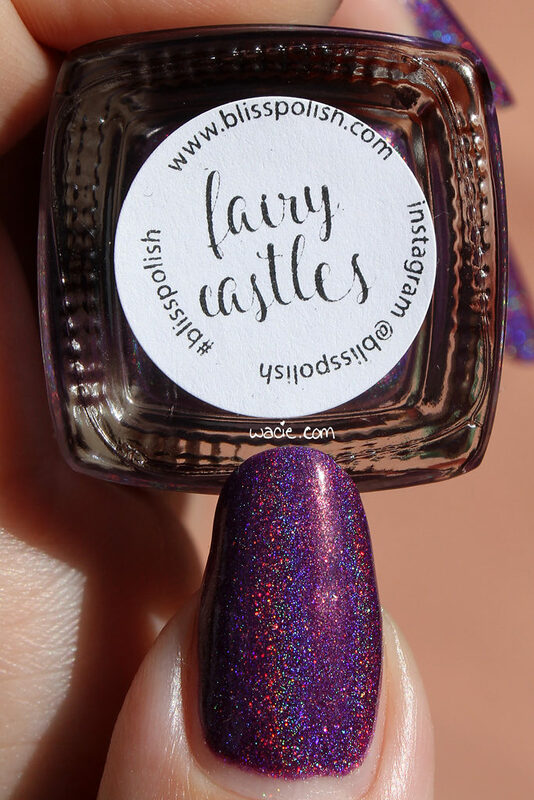 Fairy Castles was an Indie Shop Atlanta exclusive. 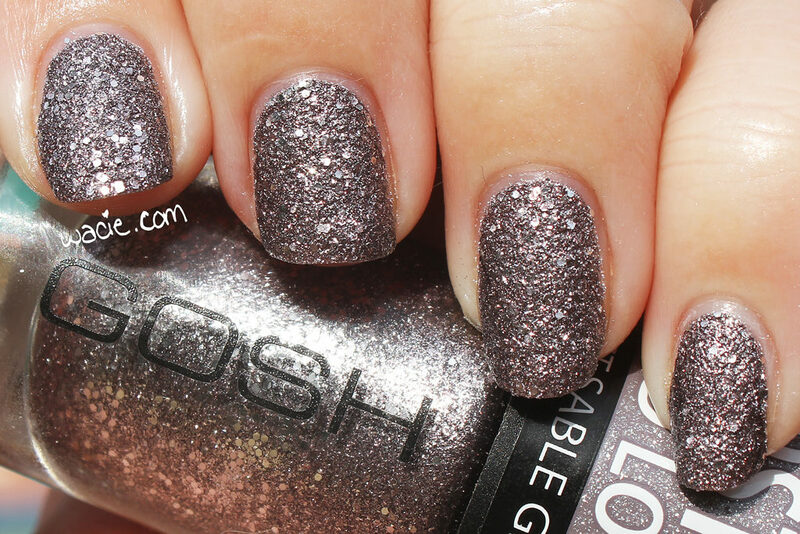 Other Bliss Polishes are available on their website.